Home > Playful, flashing summertrios. Camerarctica July 5 2017. Playful, flashing summertrios. Camerarctica July 5 2017. At this concert you will hear colourful trios for clarinet, violin and piano where different styles of music from the inter-war years will be at the forefront. Influences stem from French cafe music, jazz, Armenian folk music, Argentinian tango and Klezmer. 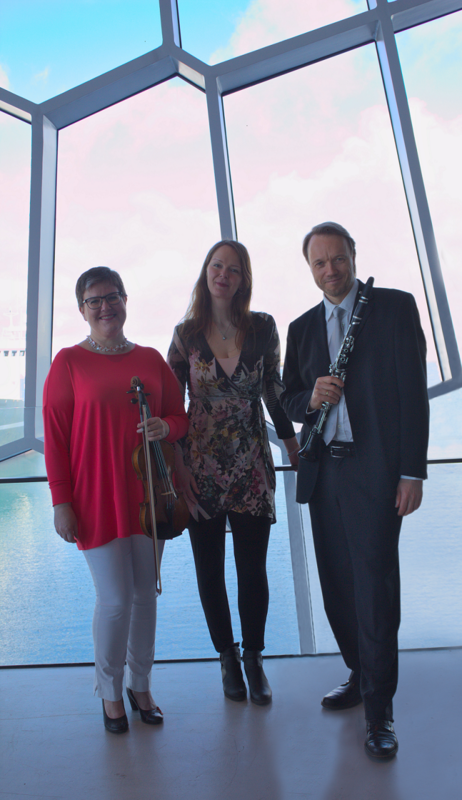 In trio Camerarctica are Ármann Helgason clarinet, Hildigunnar Halldórsdóttir violin og Ingunn Hildur Hauksdóttir piano. The concerts starts with a playful Suite by the French somposer Darius Milhaud, it is possible to connect the suite with colourful and playful theather music where different styles are mixed together. A beautiful and popular trio than follows by eAram Khachaturian which is based on enchanting Armenian folk music and vibrant dances. At the concert you will also be able to hear an exquisite piece by an important American composer, Charles Ives. In the end two a little more wild pieces will be performed, Tango Trio by Miguel del Aguila and Freylakh, where klezmer music takes over in a playful trio by Paul Schoenfield. The Camerarctica Trio has played together since 1993. 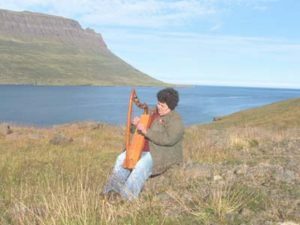 Its members have among other things played with the Icelandic Symphony Orchestra, taught instruments at music schools in and around Reykjavík and performed widely as soloists. Tríó Camerarctica consists of Ármann Helgason clarinet, Hildigunnur Halldórsdóttir violin and Ingunn Hildur Hauksdóttir piano.